Bring up your Child with the comfort of God's word, this first Bible for boys is lovingly made and filled with wisdom and wonderfully presented Bible stories. 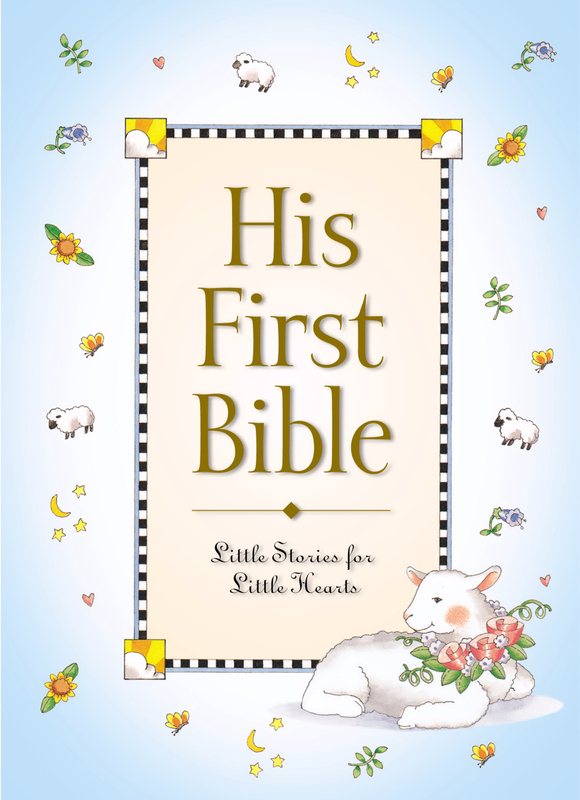 This is a baby Bible storybook for your little baby boy. The colourful illustrations will delight your baby. Enjoy the treasured times as you share these Bible stories with him again and again. 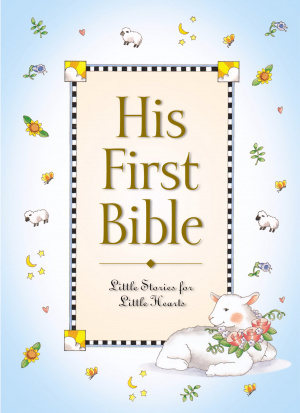 His First Bible by Melody Carlson was published by Zondervan in April 2001 and is our 3319th best seller. The ISBN for His First Bible is 9780310701286. Be the first to review His First Bible! Got a question? No problem! Just click here to ask us about His First Bible. Is "His First Bible" identical to "Her First Bible", apart from the colour of the cover? A:Yes, the contents are the same; the pink edition is for girls and the blue one for boys.